Recently, I’ve been thinking about getting involved with an old project of mine. The thing was pretty much my life during my last year at Kent. I’ve more or less neglected it over the last year, but I think the next few months present a good opportunity to resurrect it. 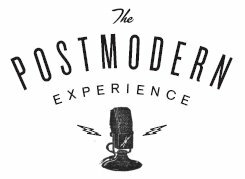 I’m talking about my old creative writing radio show, The Postmodern Experience. I devised the program as a means to bring me to New York City on an internship with This American Life. However, as fate would have it, I was not awarded a position. After I graduated, the Postmodern Experience was managed by Douglas Hite, Leslie Cusano, and David Sugarman but it seems as though it has fallen into disrepair. Such is how most independent projects go, I understand. Mr. Hite recently spoke to me about the prospect of repurposing PME, as it were, to correspond to the campus literary magazine, Luna Negra. 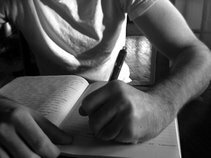 As the editor for that publication, he intends for the show to act as a podcast for the written content – poetry and fiction. I told him the show was his to do as he wished. Now, I take that statement back. And the show. Both of those things. I have developed some ties to a particular college radio station in Cleveland, and with the prospect of attaining a community broadcasting position here, I have been entertaining the notion of returning to the Postmodern Experience. The idea is really quite daunting, and at this point, merely speculation, as I have yet to discuss this with Mr. Hite or develop the creative contacts needed to drive the show or even pitch this idea to the radio station. Plus, there will be the lack of executive producer, managing editor, and beating heart of the Postmodern Experience, Mr. Charles Parsons. His is a huge absence, but technology affords us great advancements. Mr. Parsons, I will make you an offer you can’t refuse: a free microphone. At this point, everything is a big maybe, but the concept is there, and that’s what pushed the show through to begin with. A concept of a concept, repurposed, repossessed, and ready to be heard for the first time all over again. Postmodernism at its finest, you ask me. GIVE US BACK OUR SHOW!!! Jeez, Charles, put the gun down. I'm sure we can work something out. And this creature does need to live. Again.